Make your runways so bright and clear, models might start doing fashion shows. The next step in airfield lighting. Ultra low profile range of LEDs offer technology never before seen in the airfield lighting industry, including Dynamic Light Output (DLO). By actively monitoring the actual light output, all LumiAir's are designed to maintain 100% of the required light output at all times. Over time, the active monitoring circuit continually compensates to achieve this level which guarantees an even light output across the airﬁeld regardless of the age of the luminaire. Patented LED optics achieve lowest power consumption, highest intensity, and sharpest red-white transition definition to provide critically accurate approach slope information to the pilot. Solar power kit ensures uninterrupted service. Proven reliability in worldwide use with nearly no maintenance. Permanent frangible or temporary mounting legs. Exceeds ICAO standards. Flashhead and power converter can be mounted together to form a single unit or separately to adapt to specific terrain needs. A well proven design has been developed further by Awaken to improve reliability and maintainability whilst helping to reduce overall life cycle energy costs. The life expectancy of a LumiWay LED Sign typically exceeds 75,000 hours and, coupled with the multi-redundant LED configuration, will maintain compliant sign performance in the event of individual LED failure. Whether it's your warehouse, kitchen, or grocery store, we've got the solution for you. Each high bay has either 4, 6 or 8 160 lm/w LED linear tubes to save 25% more energy than other LED tubes, that typically offer 130 lm/w. As an example, our 4’ 12w tubes use 3w less than other LED tubes for the same 2000lm, which at $0.125/kWh and 18 hr/day, will increase savings by $3,000/year for every 1,000 tubes. DLC Premium listed Linear High Bay will yield the highest utility rebates. Aluminum body for maximum heat dissipation.• Effective thermal design for maximum lifetime, efficacy, and color consistency. Clear or Prism polyacrylic cover - no glass. Efficacy up to 139 lm/w. Standard Model IP65 for damp applications. The most cost effective LED solution to replace existing Metal Halide fixtures up to 600W. Narrow beam angle version available for higher mounting applications with a nano coated reflector to significantly reduce glare that is typical with standard narrow beam angle replacements. An environmentally friendly alternative to traditional weatherproof fluorescent enclosures. Simply the best solution for all gas station canopy applications. Re-invent your recessed lighting space with modern fixtures. Daylight without the boom; the dark is no match for our canary series. Consumes up to 80% less power compared to HPS or mercury based lamps, and saves up to 75% compared traditional lamps. Professional sports quality lighting at amateur prices. Ideal for building exteriors, parks, shopping malls, other and commercial lighting purposes. Fully customizable for your needs with a wide range of wattages available from 120W-1000W, and 7 different beam angles. Oversized fins for optimal thermal management. Optional microwave motion sensor (detection range ~15m and IP65). Optional Zigbee controller and receiver (<240W). Ideal for indoor and outdoor stadiums, tennis courts, baseball diamonds, parks, open fields, public areas, high-mounted lighting, etc. Extremely light weight for safe use and installation. Ultra high power to provide ultra high brightness. Easy installation and maintenance. Rust and dirt proof. Extra long lifetime with high lumen maintenance. Anti-aging silicon rubber. Can be arm, canopy, wall, ceiling, or pole mounted. World-class lighting for your professional sporting venue — provide an incomparable experience for your team and fans whether they’re at the game or watching from home. Bring the dynamics of the game to life with consistent and precisely delivered light that meets the stringent demands of international HDTV broadcasting, digital photography and slow-motion recording. With optimal designed-in control for both wired and wireless systems, we give you the power to use lighting as entertainment with complete flexibility to meet the different lighting needs for any professional sport. Superior garage lighting with no shadows or dark spots. Unique optics for even, non-glare light distribution and ‘soft’, easy on the eye light, without double shadows. Update your classic style street lamp to the current century. High CRI, Fluorescent Clones, Hybrid, Superior Efficacy, with Ballasts or Without - if we don't have it, it doesn't exist. Unique Ballast Factor Offset eliminates up to 100% of the fixture’s ballast wattage. 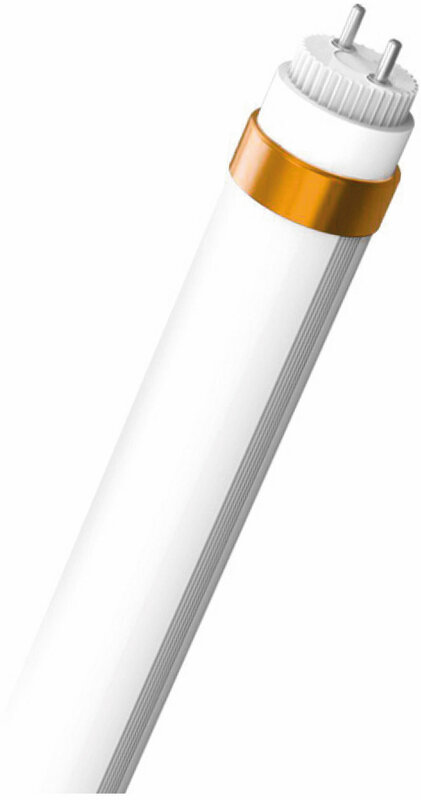 Save 50% more energy than 130 lm/w LED tubes. Direct AC tube works with both single and double ended wiring. Eliminate tombstone rewiring when ballast is removed. Any item under this light will appear virtually the same as under fluorescent light. Matches the color spectrum of fluorescent light, while greatly increasing the CRI and CQS. Produces light that can also uniquely penetrate the modified air, thick polyethylene typically used to package pork products - removing unwanted blues and purples. Proprietary LED with specialized phosphor and customized dye result in an extremely high CRI of 98+ and CQS of 96+. Reveals the natural, highly saturated colors of fruits, vegetables, beef, poultry, pork, and fish. Ideal for all fruits, vegetables, and meat, including beef, pork and poultry. Our amazing Lxb Tubes, now available with a T5 form factor. Powered Both Sides is AC line voltage friendly: when one end is installed and connected to power, it doesn’t send power to the other end until it is also connected to power; this prevents electric shock from current leakage and socket to lamp pin arcing. 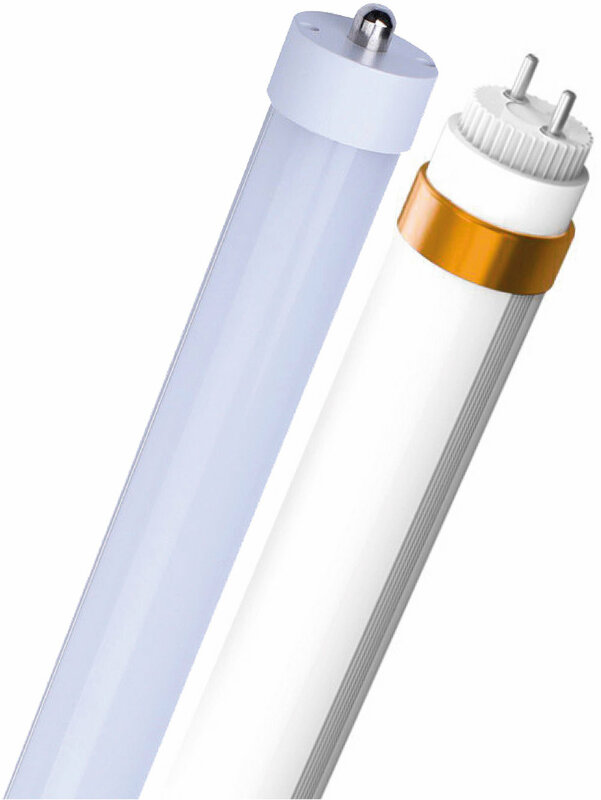 Save 25% more energy than 130 lm/w LED tubes. New T6 form factor - designed for vertical mount behind glass doors. V-Shaped LED board with 180º beam angle, distributes light evenly throughout the entire width and depth of each shelf from top to bottom. Vibration resistant locking metal clamp attaches to door frame with strong self adhesive or screw. Clear or frosted shatterproof IP67 polyacrylic cylinder- no glass. New T6 form factor - designed to fit under or behind retail shelving. Daisy chain up to 25 tubes with quick release IP67 connectors at each end. Isolated internal driver for maximum reliability. Zero width end caps allow for installation between existing tombstones. Gorgeous, even lighting. A more elegant solution than flourescent tubes. The brightest, most efficient, most advanced street and parking lighting solutions in the industry. This lamp is a direct replacement for any high pressure sodium or metal halide lamp, in any parking lot. The fixture is available with 60w - 300w @ 142 lm/w. The lamp is specially designed to run the LEDs at a cool temperature, and dissipate the heat well, with extra efficient thermal management. 1000W, 2000W traditional lighting replacement! Adjustable pole mounted area light or floodlight designed to achieve super high lumen output, high illumination level with precision optic lenses and light distribution. Introducing a NEW HIGH OUTPUT version of our previous and already highly advanced Qx8. 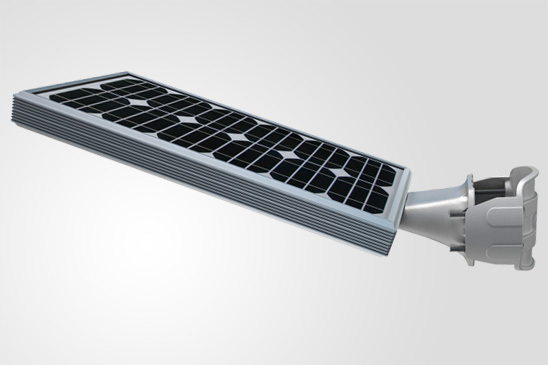 Harness the power of the sun and go off-grid with our solar street lights. The Lumi1 Solar Roadway Light harnesses the energy from the sun. 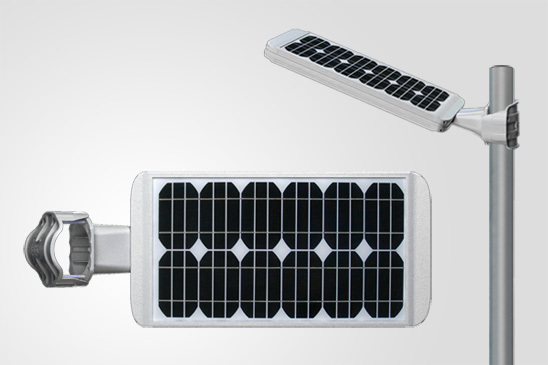 Alongside its high efficiency solar panels, LED's, and Lithium battery, it features a micro-controller, and a human infrared sensor within an integrated design to achieve multiple advantages such as low power consumption with high brightness, long lifespan, excellent thermal dissipation and is weatherproof and maintenance free. 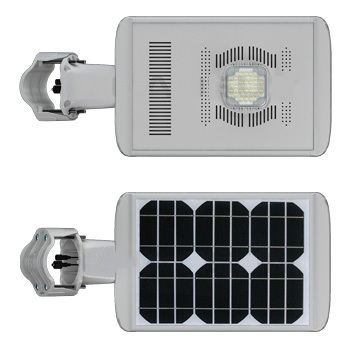 advanced and intelligent LED solar lighting system. Its clever design and attractive, robust construction incorporates the latest solar power technology, providing many years of outstanding performance and operational reliability. Innovative solutions allow customization of each system to meet the exact needs of different geographic locations and lighting requirements. Reduce costs, accidents, traffic, shadows, and dark spots. You won't even know you're in a tunnel. Often the most overlooked fixture, these wallpacks offer big savings and bright, clean light. Rust and corrosion proof, heavy-duty die-cast aluminum one piece housing, with a polyester powder coat. Dimmable driver from 1%- 30%.